Martyn Hilbert's Railway Photography - Last additions - Fowler Diesel at Kearsley Power Station. Fowler Diesel at Kearsley Power Station. 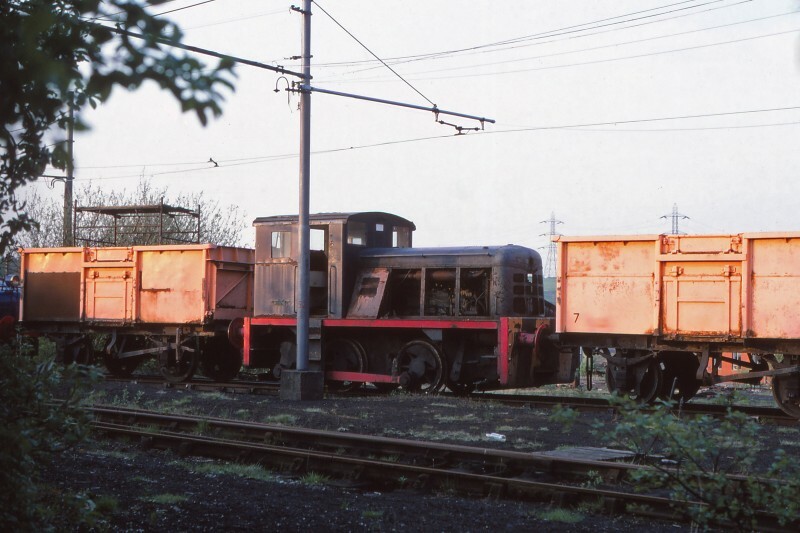 A woebegone looking John Fowler 0-4-0 diesel shunter (Works Number JF4210078/1952) was sandwiched between a pair of internal user ex BR Mineral Wagons at the mothballed Kearsley power station on May 13th 1982. The loco was in secure storage along with other CEGB North West area locomotives from power stations that had closed. The wagon on the left appears to be a makeshift overhead line vehicle for the 500v system at Kearsley, not too sure if it would pass todays H&S culture!